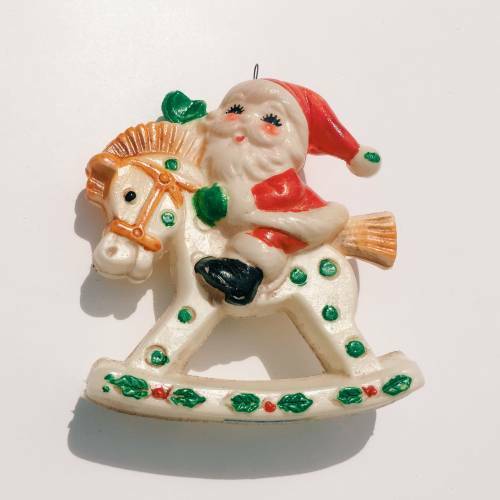 Vintage Christmas ornaments have quite a long history in America. In Germany mass production of Christmas ornaments began in the 1880's. They were followed by Czechoslovakian, Polish and Japanese manufacturer's. The mid 1940's saw American production of Vintage Christmas ornaments start to boom. 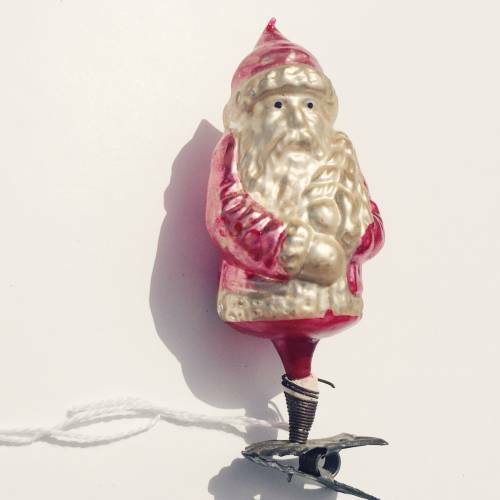 For many families Vintage Christmas Ornaments are passed down from generation to generation. This is how many collections start. 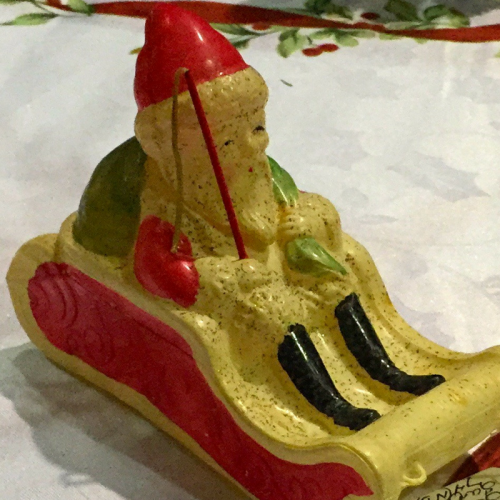 My favorite site about Vintage Christmas collecting is the Golden Glow of Christmas Past. Check them out and more resources for collecting vintage Christmas at the bottom. Glass bulbs can be collected by country, theme, color or shape. Figural ornaments command premium prices. Desirable colors add even more to the price. As they are glass and due to being as thin as egg shell, condition plays a key factor in vintage Christmas ornaments. Because Kugel Glass Christmas Ornaments from Germany command top dollar, they have been reproduced. Make yourself aware of the difference. The field of non-bulb Vintage Christmas ornaments is vast and varied. Our personal favorites are 1950's and 1960's American made decor. Gurley candles and ephemera especially! Vintage outdoor ornaments are made durable to withstand outdoor weather. As a result they can be readily found. Some of the earliest Blow Molds though, where made of rubber like composition materials and become brittle or crumbled if not stored in ideal conditions. Later PVC type plastics were used, and they have stood the test of time. They are also easily repainted if desired. They can be found rather reasonably priced with premiums paid for more rare moulds. Since Christmas decor is used for 1 month a year, it usually isn't built to last. Glass, Porcelain, Plastic, Paper and Wood are the common materials used in Holiday decor. This is why condition is so important with the high attrition rate of ornaments that are; Mica dusted, Crepe paper, Spun Cotton or celluloid like the Santa in the sleigh over there ---> Plenty for Everyone! Even though it isn't till fall that you start seeing your Vintage Holiday markets start popping up. The dealers have been acquiring Vintage Christmas Ornaments ALL YEAR LONG! So, there is plenty for everyone. Except, the best goes to the early bird. 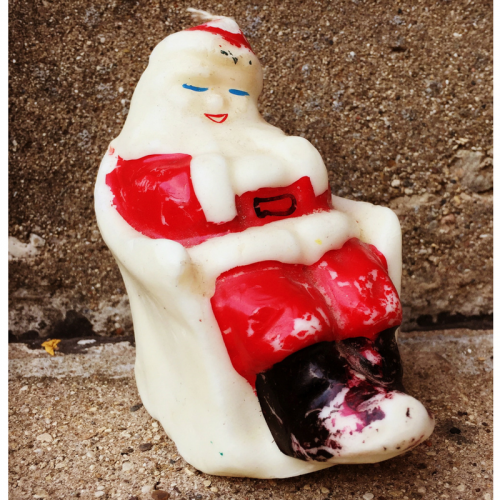 The Vintage Garage Holiday Show November 20th opens at 10:00 am! Don't be this Santa see you there! Golden Glow of Christmas Past History of Christmas ornaments. A good piece on kugel figural values.